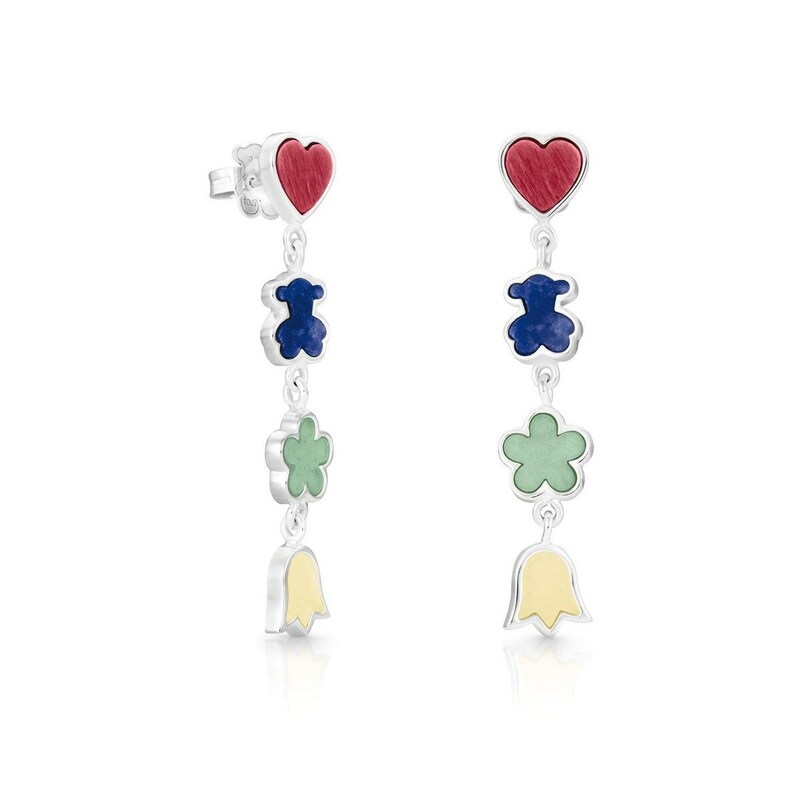 TOUS Rainbow earrings in sterling silver, rhodonite, sodalite, aventurine and honey stone. Pressure clasp. Bear: 8.5mm.